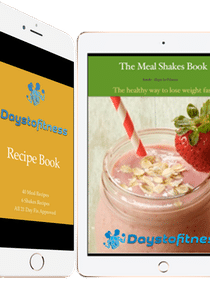 The Days to Fitness Recipe Book 1st Edition was published in April 2015. So far, it has been downloaded over 28,000 times. All recipes are 21 Day Fix Diet Plan Approved (more about 21 day fix eating plan here), containing ingredients, directions and color coded containers information . Using this 21 Day Fix meal ideas you can easily plan and create your own week calendar meal. (here you can download the calendar I use in pdf or excel format). 10 Dinner Recipes – Turkey Lasagna,Enchilada Peppers,Ground Turkey Stuffed Pepper,Paleo Pad Thai, Chicken and Veggie Stir-Fry, Boiled Salmon with Veggies, Guacamole Turkey Burgers,Mediterranean Fish in Foil, Buffalo Chicken Wraps, Pasta with Asparagus, Tomatoes and Feta. On The Meal Shakes Book, I share my method of losing weight in a easy, effective and healthy way using Meal Replacement Shakes. I also share the best Shakeology alternatives, meal shakes recipes and even Homemade Meal Replacement Shakes. It’s all 100% Free, you only have to enter your name and in email on the subscribe box. I’ll send only 1 email per week, no ads, no spam, only exclusive tips and ideas to motivate you on your journey to a better and healthier life. More than 28,000 people have already downloaded their own copy. Join our Newsletter below and you’ll receive an email with the download link. I’m sorry about that. 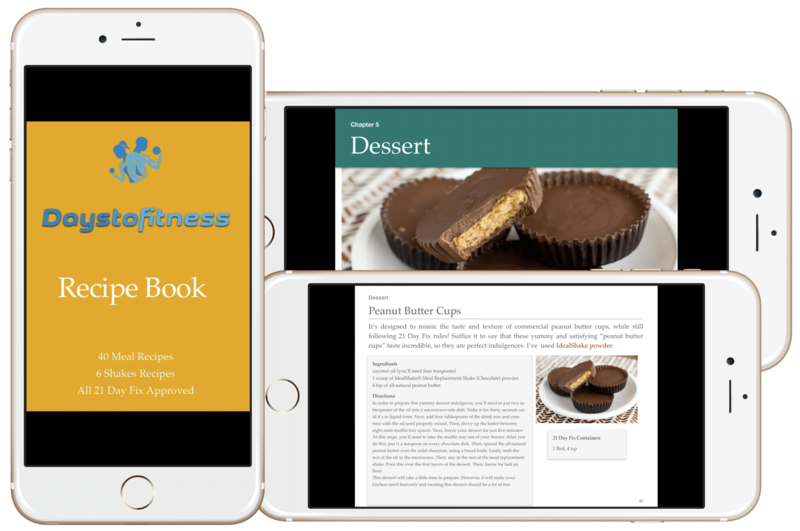 Did you received the email with the link to download the recipe book ? Or you were able to download it but you can’t see it ? Please send me an email using the contact page so I can help you. I would love to download your recipe book. How do I get the link to do so? Hi Vicky. Thanks for your interest. All you have to do is subscribe to my newsletter. It’s free and you can unsubscribe any time you want. On the bottom of the article insert your name and email and then you’ll receive a confirmation email to confirm your subscription. 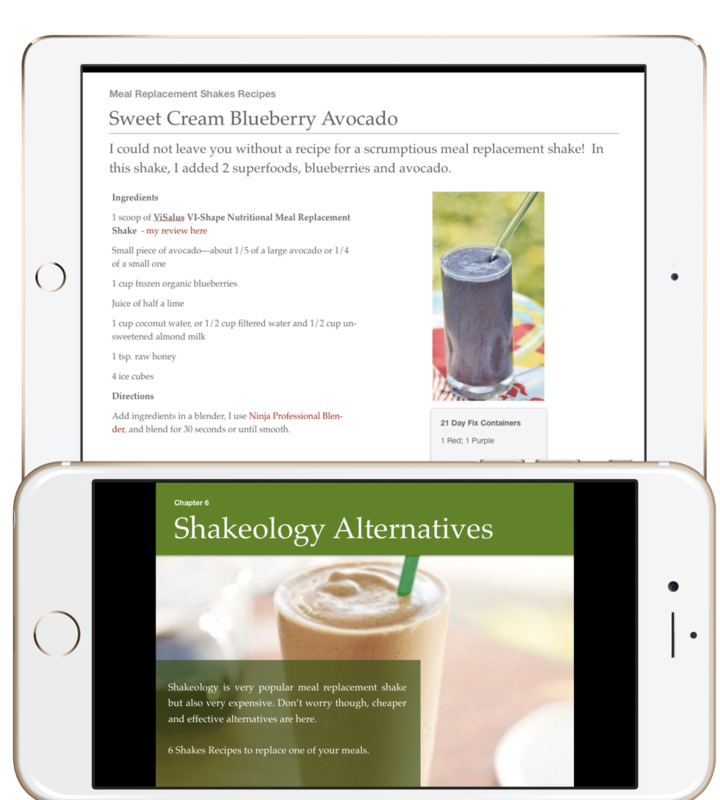 After that you’ll receive my welcome email with the links to download The Days to Fitness recipe book and The Meal Shakes Book. Enjoy and have a nice day. I also can not download any of the books from the links you sent me. I’m sorry about that. Indeed there was a problem when downloading the iBooks version of Days to Fitness Recipe Book and The Meal Shakes Book. The problem is solved and you can check my Welcome Email, click on the link, and choose the iBooks version to download. Once again I’m sorry about that. Hi Sarah, I could not download either. thank you LOVE, LOVE, LOVE your articles. Thank you for your kind words 🙂 Did you confirm your subscription on our mailing list ? is there except recipes under the titles will not come up. I’m sorry about that. Which version did you download PDF or iBooks ? Would you mind to re-download to see if it was a download problem ? I’ve just checked both versions and both are working good on my side. Thanks for your time and cooperation. I subscribed to the newsletter and never recieved an email. Is there anything you can do to help? Thank you. I’m sorry about that. Maybe the email is on your junk/spam folder. Could you send me an email using our contact page so we can help you. Thanks for your patience. I signed up for your newsletter, but still have not received a link to download the recipe book. Please advise on how to obtain a copy. I’m sorry about that. Could you send me a message using our contact page, so I can solve the issue ? Thanks for your cooperation. Some recipes don’t download and others do not have the container count losted. 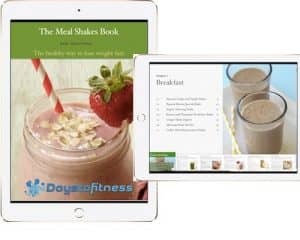 You’re able to download the Days to fitness recipe book ? The book contains 37 recipes, can you see all of them ? Thanks for letting me know, Containers information will be updated and I’ll update this post when it’s done. I subscribed to the newsletter but never received the recipe book. Please advise. I’m sorry about that. I’ve just sent you an email. Thanks for your patience. I downloaded the cookbook online that you offered to us. I noticed that some of the receipes do not have a portion size on them. I am interested in the turkey lasagna. How many portions does it make, please. I ca’t seem to download the 37 recipes. I have subscribed to the days to fitness newsletter. Will it me sent to me in an email? I’m starting the 21 day fix tomorrow and I would love to download the days to fitness recipe book! Newsletter system, says that you email has bounced. Maybe you have introduced your email incorrectly, or you have your inbox full ? Try to enter your email again and if you don’t receive an email after 30 min, please contact me. Thanks for your time and cooperation. I signed up to get the free cook book but when i clicked the link to view it, it won’t download. I can’t get the cook book. Any thing I can do so that i can get it? I subscribe to receive the recipe book 3 days in a row and I have yet to receive it. I sent an email on the contact page and still nothing. I have checked my junk/spam folder and still nothing in over 3 days. Please advise me on how I can receive your recipes. Can I do the 21 day fix if I am allergic to eggs? Have a look at FIXATE, a cookbook created by Autumn Calabrese. You can learn more about this recipe book on my review here or check it on the official site here. You eat a lot of fish and chicken you probably will enjoy paleo diet. Paleo Recipe Book, contains 372 recipes and includes 108 autoimmune-friendly recipes, with no eggs. Got you email to receipe book but the link could not be found. I cannot download the book – can you help? I received the email confirming my subscription, however the link to download the recipe book does not work. Help! Thank you! Hi there! I haven’t had any trouble with this book, but I am wondering if there is still access to the first edition. Thanks! I subscribe, but have not received an email with a link to your recipe book. Can you kindly resend? I’m sorry about that. I’ve checked the records and your email doesn’t show up, so there’s no way I can resend the email. Would you mind and subscribe again ? If you still have problems let me know and sent me a message at our contact page. Thanks for your time and cooperation. Due to u.s. email laws (the CAN-SPAM Act), I must not add persons to my newsletter, instead people should do it. It’s a good way to reduce spam email. So, to join our newsletter, please enter your name and email on the blue box of this page. After you’ll get an email to confirm your subscription. Thanks for your comprehension. I tried to subscribe to newletter but did not show up in email or spam. I would like to download more recipes, I have a droid, you only mentioned apple products, do you have droid compatible versions? I’m sorry about that. I’ve resent you the confirmation email. Please check again on your spam/junk folder. If you still can’t find the email, send me a message here. After you confirm your subscription you’ll get our welcome email containing the link to download the recipe book. Thanks for your time and cooperation. How do I download the first book? I too tried to get the link to download the recipe book and the email never came to my box. I did get the confirmation email but ever got the email to download the recipes. I’ve subscribed to your email, the book was brought up but when I turned off comp., its not in my downloads. Please help and thanks for the wonderful recipes. Thanks for your kind words. Glad you like the book. Yikes! I am unable to download the book! Suggestions? I’ve checked the records and your email does not show up on our newsletter. You can subscribe at https://www.daystofitness.com/thanks-for-subscribing-days-to-fitness-recipe/. After you confirm your subscription you’ll get our welcome email, containing the link to download our recipe book. Let me know if you need any more help. Thanks for your patience. I downloaded the iBooks version of your recipe book but only the introduction and the titles of the recipes are able to be viewed. No recipe info or photos. Not sure what to do to get all the content. I’m sorry about that. Maybe there was some problem with the download. Would you mind to try it again ? If still not working contact me at the contact page. Thank you. What do I search for in the iBooks app to find the book? Also, how can I find a copy of the first edition? On your welcome email you have the link to download the iBook version. After you download, click on the downloaded file and the app iBooks (most certainly already installed on your mac) will open the iBook. Same happens if you use your iPhone or iPad. If you have any problem to open the file use our contact page and let me know what’s happening. Regarding the 1st Edition. The 2nd Edition contains all the 1st Edition recipes plus some more. That’s why 1st edition is not available for download. Can you please send me the link to download the recipe book. I was able to download the recipe book with no problem, and there are so many yummy looking things. Thanks! I do have a question though. For the copy of the book I downloaded, the Nutritional Info for the Banana Flatout Wrap appears to be a copy/paste of the previous page containing the Baked Eggs in Avocado. What’s the info for the banana recipe? Tried to use the contact form on the website but will not send. I confirmed the subscription link in email but have yet to receive book. its been about an hour. I’m sorry about that. I’ve checked the system and it seems that you’ve received my welcome email, which contains the link to download my 2 free books. Do you have your copy with you ? Have a nice day. I see you have a few different types of meal replacement powder. Can I just choose one brand to use or do you use different brands per recipe for a reason? Thanks for your comment. The reason I’ve different brands in different recipes is because I’ve tried several brands and made different recipes for each brand, but of course you can use only one meal replacement shake for all the recipes. Hope I’ve helped. Have a great day. Sarah can you send me the link to the recipe books? Thanks for your comment. I’ve checked and your email show as “Unconfirmed”, maybe you haven’t received the confirmation email or you haven’t clicked the confirmation link included on the Confirmation Email. Either way, I’m sorry about that. I’ve resend you the Confirmation Email (due to privacy terms, and for respect, I can’t confirm emails manually). Once you confirm your subscription you’ll receive my Welcome Email containing the links to my 2 Free eBooks. Thanks for your comprehension and your cooperation. Have a great day. how do i suscribe to your newsletter? Thanks for your comment. There are several ways to subscribe and join our +23500 family ! In every page on the footer, like this one, there’s box “SUBSCRIBE – DAYS TO FITNESS NEWSLETTER”, fill the First Name and Email field and click Subscribe. You’ll get a confirmation email with a link to confirm your subscription. After that you’ll get my Welcome email with the links to my 2 free ebooks. Hope I’ve helped. Have a great day. Thank you for this recipe book. I plan to start the 21day fix for February 1st so I appreciate the free recipe book that the recipes look great. Everything downloaded fine. Thanks for the recipies. They look fantastic! I did notice many of them do not have serving sizes. May suggestions on how to figure these out? Are they posted somewhere I’m just not seeing? Servings can be tricky, but a rule that I use is: after you cook, place the food and fill each container. If you prepare, say a pizza, and the recipes says: 1 yellow , 1 red and 1 green, fill this containers with the cooked pizza to eat exactly the containers you need or want. Hope I’ve helped. Thank you for the download. I skimmed through it, it looks great. My thing is and I’m not sure if it says it already but, how much are you able to eat. Let say I make the meat loaf, what size portion would make the desired amount for the colored containers? Hi, I caanot seem to find the download for the recipe book. Can you help. I am so glad I came across your website. I really need some inspiration. I have been trying intermittent fasting. On some days I have breakfast at 11:00 a.m. and some days I manage to postone breakfast until 1:00 p.m.
Do you think the 21 Day Fix is compatible with intermittent fasting like this? I could eat the same healthy meals but in a shorter eating window. Sure. I also do Intermittent Fasting from 10pm to 12am . It´s great to clean your gut and give a little break to your body so it can use the available energy in other tasks than only for digestion. I find it very helpful to lose weight, improve my focus on the morning for work, burn fat, and find my mind more in peace and my mood much better. Hello, it’s not letting me sign up and I would really like these books. Can you help me please? Did you receive the welcome email with the links to download both books ?